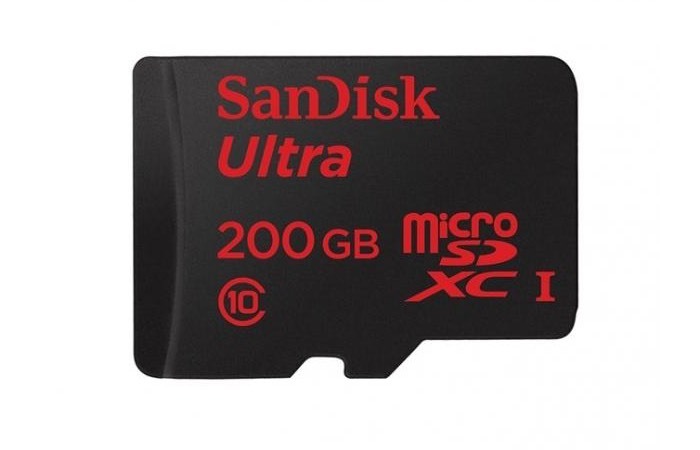 Android users that are in need of adding masses of extra storage capacity to their smartphone or Android tablet are sure to be interested in a new microSD card that has been unveiled by SanDisk this week that provides a huge 200GB of extra storage. The new 200GB microSD card is nearly double the size of the previous largest card that SanDisk has created ,which was in the form of the 128GB. But be warned the new 200GB storage card from SanDisk doesn’t come cheap and is priced at four times the cost of the current 128 GB card and will be priced at $400 when it launches in the coming months.